It’s 4am, I’m in Assisi, and I’m jet lagged. Normally when I’m bored like this I go onto Amazon and see how many books I’ve sold. That usually sends me to sleep really fast. But I noticed that someone has posted up a new review on Amazon, and it knocked me sideways. As ardent readers of this blog would know, I am a deeply humble self effacing person – a true pilgrim – and i never indulge in tacky and degrading self promotion. But I’ll make this one exception. I decided to buy this book because it is often paired with our own memoir about the Camino on Amazon. 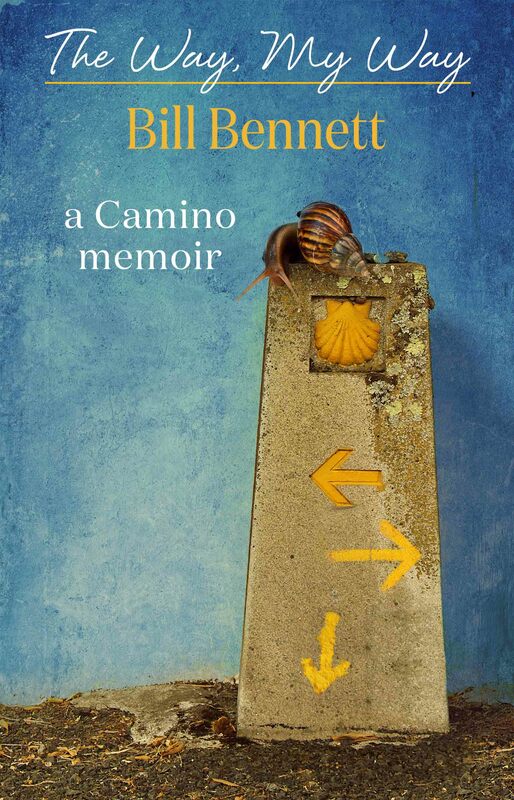 Boy was I humbled by the way Bill Bennet managed to describe his trek to Santiago. I stopped reading mid-story just because I didn’t want it to end. It’s as if Bill became an instant friend and I didn’t want to lose him.His writing is so hilarious, I inadvertently woke my husband out of a sound sleep on the second night I read it– I was literally rocking the bed in spasms of uncontrollable laughter. I would try to stop, then I’d hear the sentence in my head and start rocking the bed all over again. All Joe could say was, “You’re reading that Bennet book again, aren’t you? He just turned over and pressed the pillow over his head. Bennet is part comedian, part philosopher and ALL pilgrim. I would buy anything he writes because he knows how to tell a story. He made me lose track of time and before I knew it, the night had flown by. I knew I’d be tired the next day, but I didn’t care. The only thing that mattered was staying inside his head and finding out what happened next. There were so many times I wondered how he could capture a moment or a motivation so perfectly. For example, when he described the different reasons people walk the Camino and how they behaved along the way, it brought tears to my eyes because I felt he was describing our own journey. The book may be funny and at times irreverent, but it is all heart. I know that directing movies is this author’s passion but I hope he writes more books. This is a MUST read for anyone who is considering walking the pilgrimage to Santiago. I am convinced you’ll enjoy it just as if your best friend had already made the journey and decided to share his innermost discoveries as a sign of true faith and trust between you. haha – thanks Arlene. I’m not sure who this lady is but all joking aside, I’m very grateful to her for that unbelievable kind review. And obviously she’s a writer too, so she comes at with a knowledge of craft, which makes it even more personally gratifying for me. If she’s reading this, thank you very much. It means a huge amount to me to get feedback like this. It makes it worthwhile. See when you are on the right path, things just take wings! AH, Bill, it’s so good to hear that others, not even known to you personally, also totally get you and your writing!! I suspect I’ll never finish with that book. Since first reading it, from time to time, I open it up in my Kindle again, simply to be entertained and humbled again by how you dealt with all the s… thrown your way. Only one question remains …….. when’s the next book coming out!? Ah Greg – I’ve got to do something interesting first mate, so I’ve got something to write about!